Although there are many scams that have existed for many years in gambling, they were never as widespread or recognised until gambling went online. Online gambling in virtual casinos may be a lot of fun and make the ordinary man sitting in his living room feel like a big roller in Vegas, it also opens up the can of worms that are cyber gambling scams. One of the biggest is where the company you have been dealing with refuses to pay you your winnings, even when you have met the criteria to make a withdrawal. Another scam is letting you win frequently to start with so you feel as if you are on a roll, then you make a hefty deposit and start losing all the time. When you get fed up and try to withdrawal, you are once again met with a blank wall of silence and the money refuses to leave the sanctity of the website. The only way to fully avoid these scams is to accept their existence and at the same time recognise them. One of the easiest to detect is that of bonuses. One of the most prevalent is when a company contacts a previously scammed customer via email telling them they understand how easy it is to be scammed online and that they should go with them instead, dangling a bonus as a carrot. The first alarm bells should be that they have your email address and name. Even though the company name is different, they have stored the info from the time you registered with the site you were scammed by and contacted you using their pseudonym. They are looking to scam you a second time, hope you are dumb enough to not make the connection, and you can bet your bottom dollar that as far as the bonus is concerned, you will suddenly become ineligible. The simple rule is never go with a site that contacts you by email out of the blue, and if an offer seems too good to be true then it probably is. 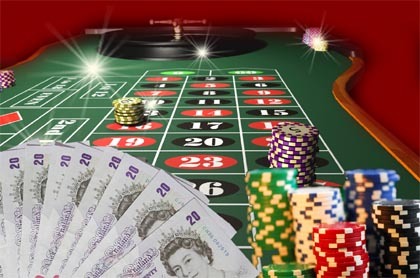 Be sensible when it comes to signing up and depositing your cash with online casino. Check that they are legitimate by looking at their memberships and affiliations, one of the best being ICG, the Interactive Gaming Council. Logos can, however, be copied so before you enter any online casino go the website of the organisation they claim to be a member of and check that their name is on the list of members. Online gambling should be fun and enjoyable, by learning how to avoid the scams you can make sure it is you, and not them, who come out the winners. This entry was posted in Gambling and tagged avoid scams, casino money, withdraw money. Bookmark the permalink.